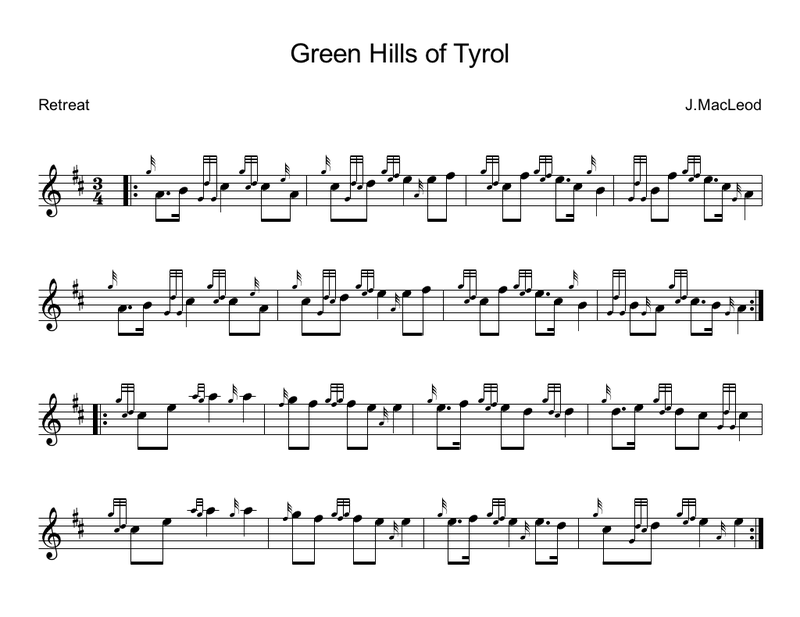 ​Green Hills of Tyrol is undoubtedly the most popular retreat march for the bagpipes. 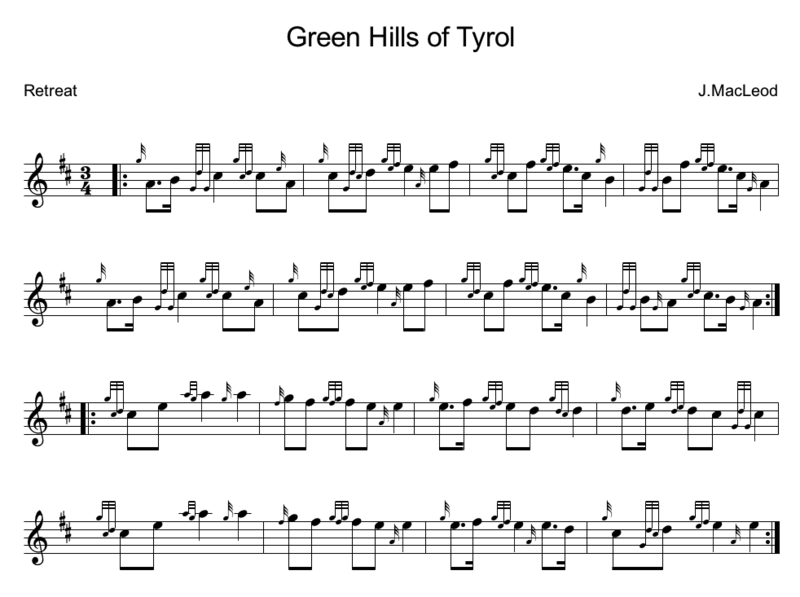 Every piper and pipe band play this tune with The Battles Over. Pipe bands will play it while tuning.